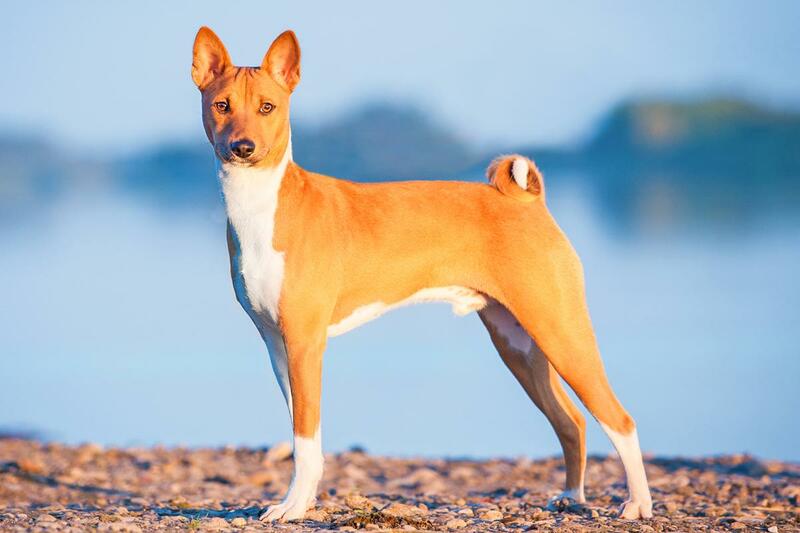 A hunting breed, mostly categorized as a hound or sighthound by the prominent kennel clubs, Basenji is a non-barking dog originating in the Central part of Africa. 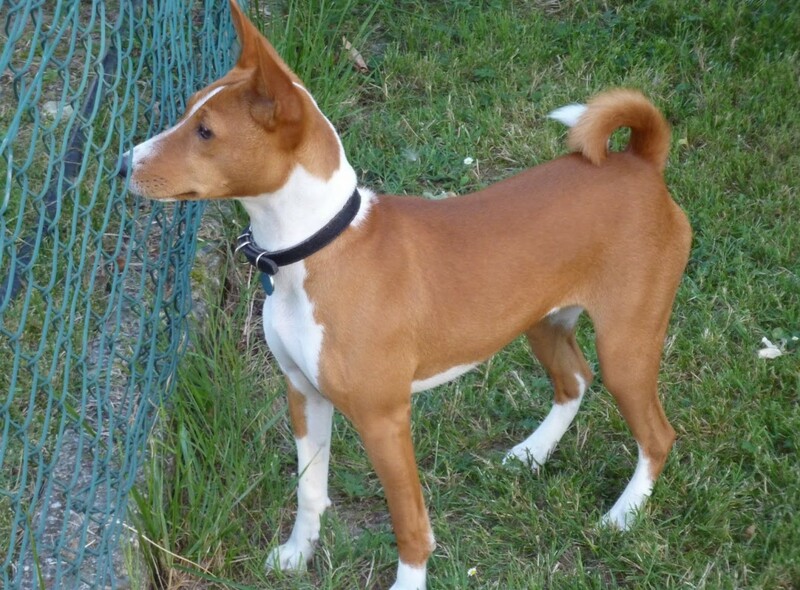 They are small-sized, short-haired, and lightly built, further characterized by a wrinkled head, dark, almond-shaped eyes giving it a far-sighted vision, small, erect ears, and a high set tail, curled to one part of its hip. 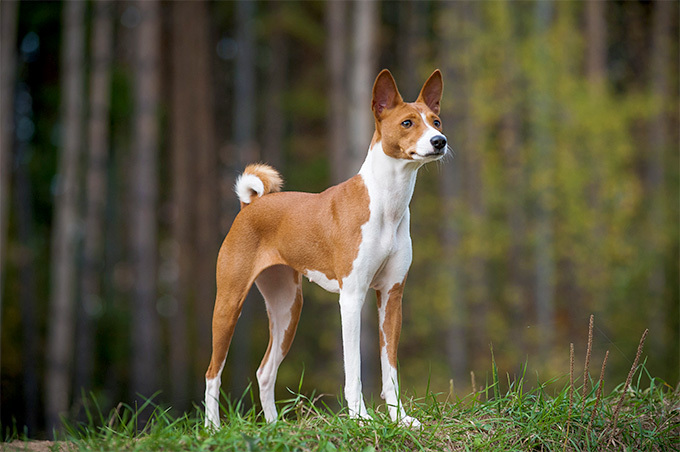 Having a smooth, tireless, swift and effortless gait, these graceful and elegant dogs are renowned for their keen sense of smell and sharp vision. 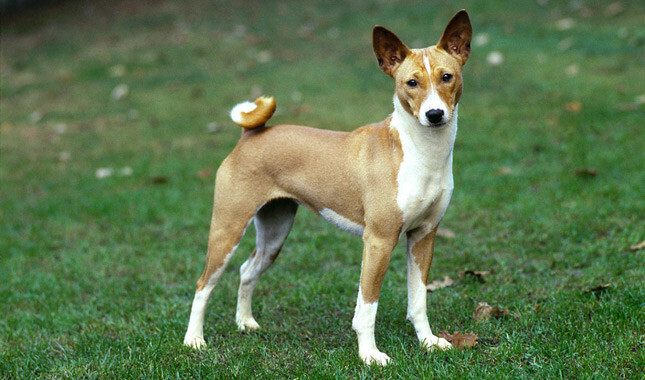 The natives of the Congo region described this breed as the mbwá na basɛ́nzi in their local Lingala dialect which translates to the dogs of the savage or villagers. 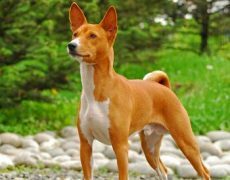 It is even called m’bwa m’kube m’bwa wamwitu that stands for a dog jumping up and down, perhaps a name given to them because of their tendency of jumping to the spot at the sight of a quarry. 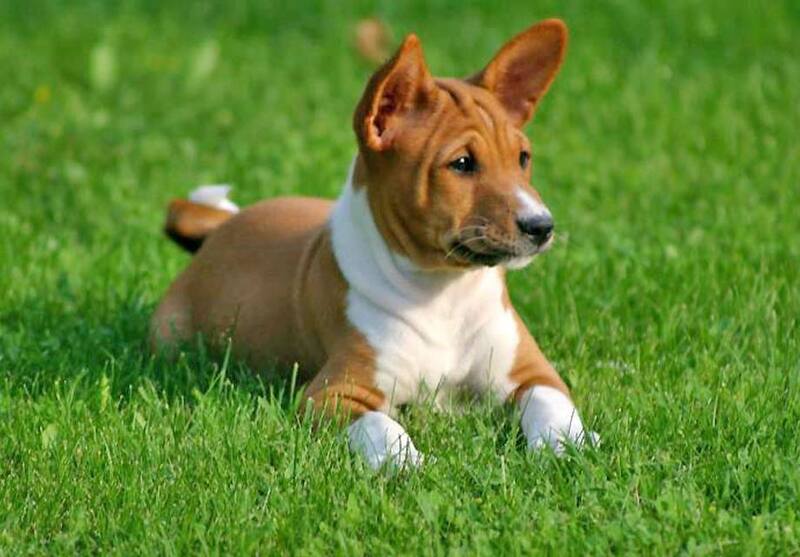 They have earned the acronym “The Barkless dog” since they do not bark at all. 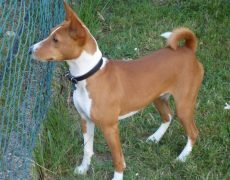 Though there is no concrete reason behind them being non-barkers, some are of the notion that their barking ability had been bred out purposely since a highly vocal dog could invite enemies. 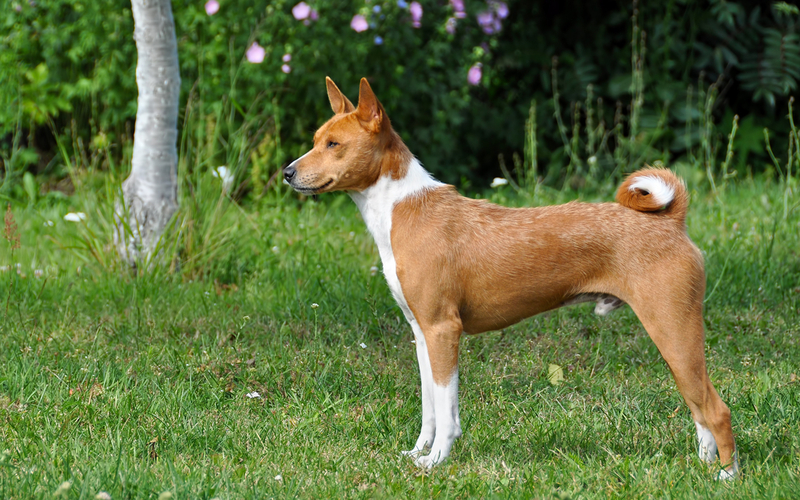 Though it lacks the skill to bark, it does not mean that it is entirely silent, as it expresses itself by making a yodeling sound which is a result of the unusual shape of its larynx, sounding chirpy when it is delighted or a little loud if it gets angry. 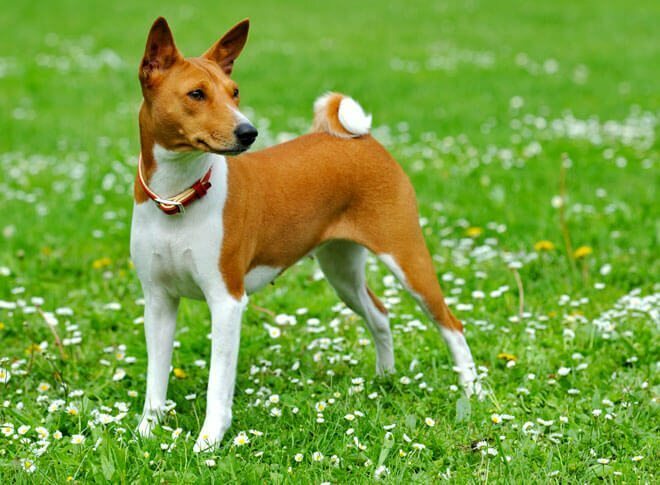 Besides this, the usual whining, growling or whimpering common to all other canines are also made by the Basenji. 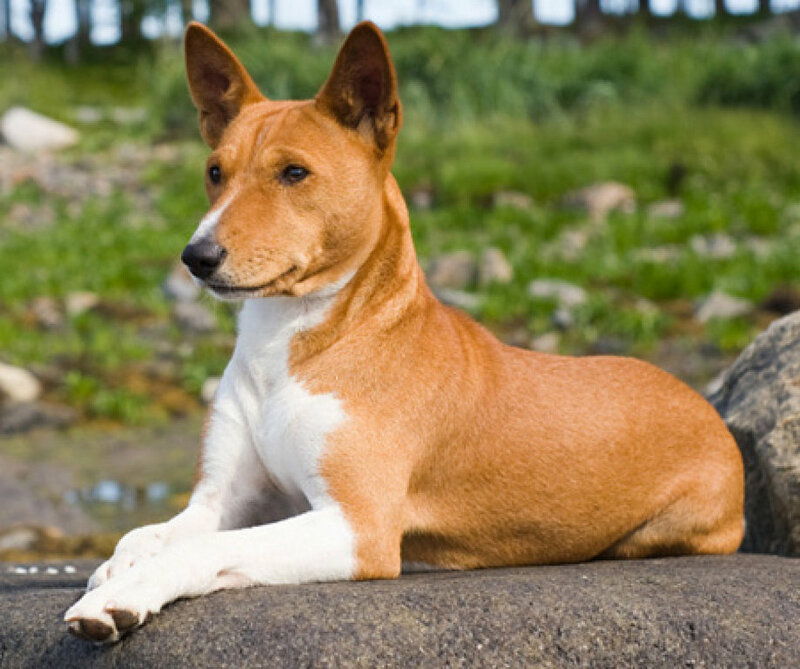 These dogs of Africa have a long history, originating more than 1000 years ago. 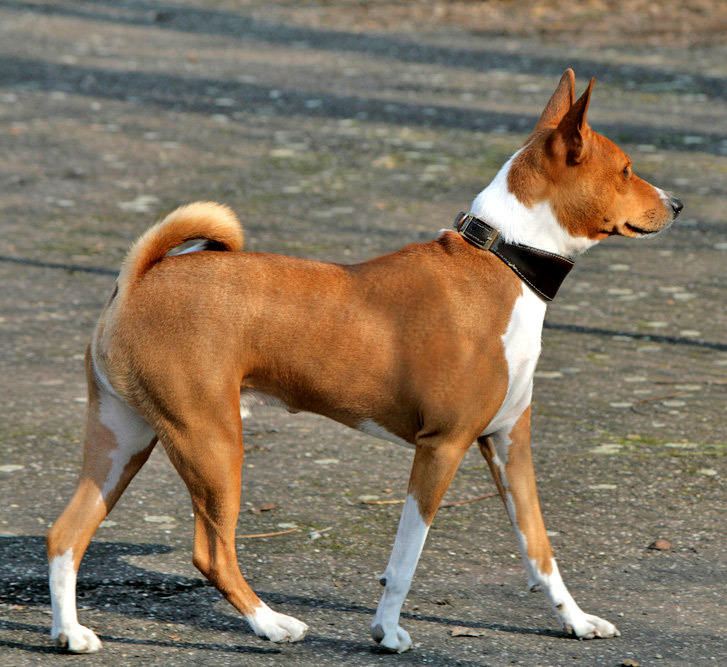 Tesem, an ancient hunting dog of Egypt, seen on the wooden engravement of the Pharaohs’ tomb resembled the Basenji. 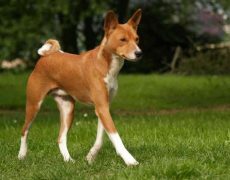 Moreover, traces of this breed can even be found in the artworks of the Mesopotamian and Babylonian civilizations. 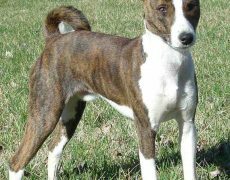 Even after the civilizations came to an end, the dog continued to exist and became a prized possession of the African huntsmen because of their intense speed, keen vision, and strong smelling capacity. 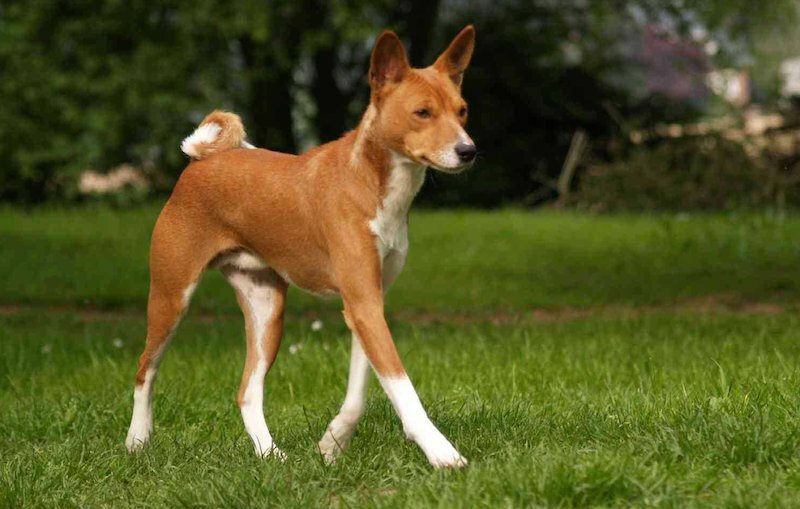 These agile dogs gradually got introduced to the Western world in the latter part of the 19th century. A pair had been imported to England in 1895 by an explorer who was on his way back home after a voyage. However, they died of an ailment upon their arrival. 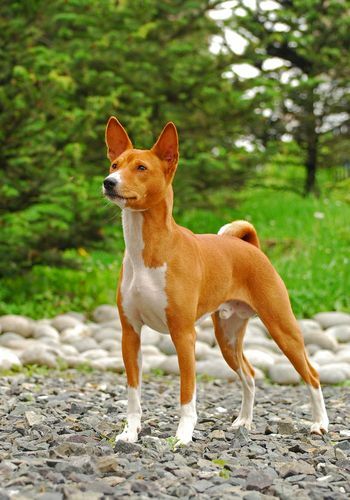 There were a lot more unsuccessful attempts after this incident and even in 1923 when Helen Nutting migrated six Basenjis while returning from Sudan, they all died on being given distemper shots. Again in 1937, another pair had been brought over and they had been such immense objects of curiosity that the police had to be summoned to control the mob which had gathered in large numbers to get a glimpse of them. 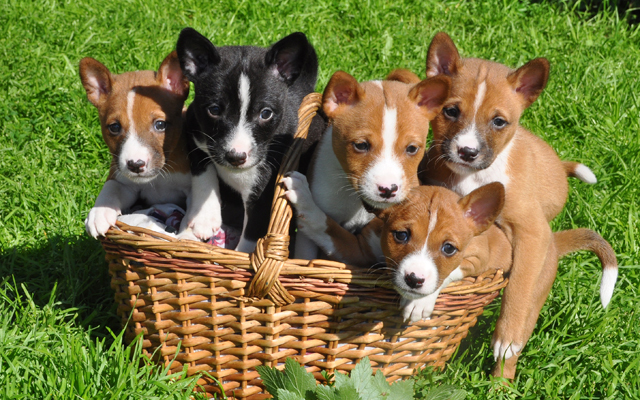 Tragedy struck one more time and the female dog along with her litter of puppies died. 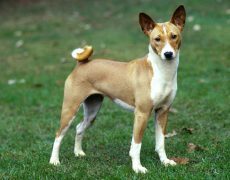 Bois (a male dog), the sole survivor, had been taken by a Boston-based breeder, who already possessed a female named Congo and that is how the foundation stock of the Basenji came into existence. 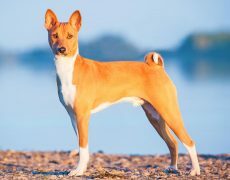 AKC granted it acceptance in 1943, though its popularity declined with time as it had held the 71st rank in the year 1999 that fell to 93rd in 2011. 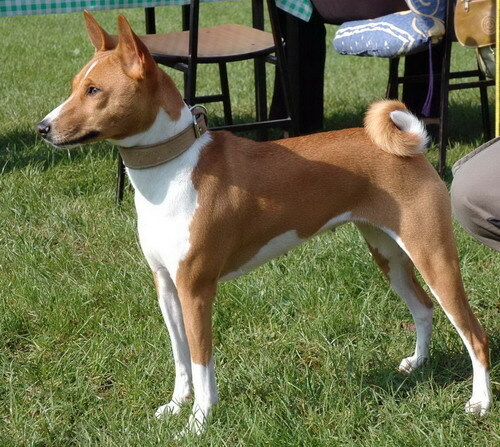 The Basenji Club of America had been formed in 1942 for the betterment and preservation of this breed. 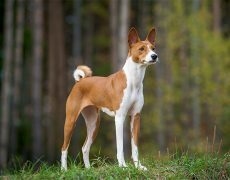 Besides its intelligent, independent and alert nature, it is also affectionate, mostly being emotionally inclined to a single member of the family. However, he has a mind of his own and will not always adhere to all that you tell it instantly, but would listen only when it pleases to. Since its brain works at a top speed, it would not delay in planning things, going on to grab and chew anything within its reach be it cookies from the pantry or kitchen counter or its favorite treat. 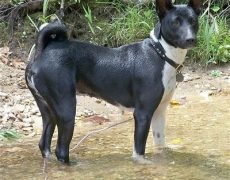 He would mostly display a profound sense of aloofness towards strangers and could also yodel or growl in a typical way the moment it senses anything uneasy. 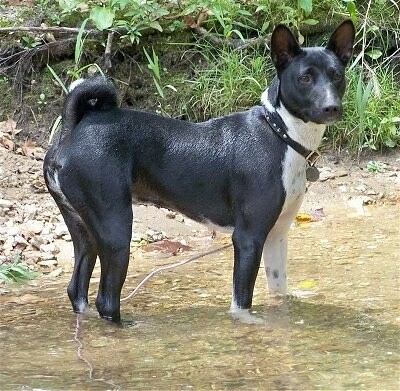 However, not all of them display the same amount of alertness, and some could also let go of a burglar quite easily. Hence they may not qualify to be a good watchdog. They even have cat-like qualities when it comes to jumping to the topmost point of the house, inspecting everything around. 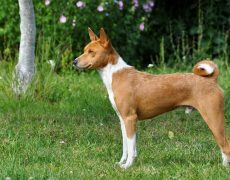 It is not a kid-friendly dog, and because of its boisterous nature, it has trouble getting along, particularly with the younger ones. 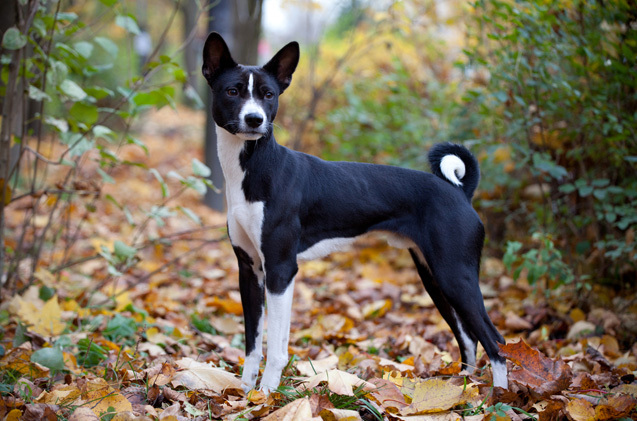 They would be amicable towards other dogs mostly if brought up with them. 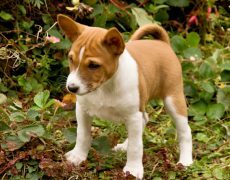 However, keep them at a distance from cats, hamsters, guinea pigs, ferrets or birds particularly if they do not belong to its family as the sight of these smaller creatures could trigger their chasing instincts. 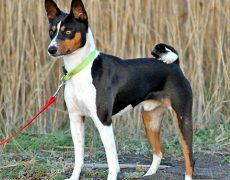 Though they are good for apartments because of their small size, low-shedding nature and inability to bark, Basenjis enjoy large, spacious households as they always want to be on the move and get involved in some kind of a task. 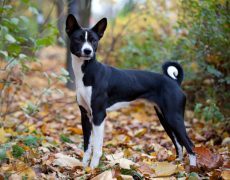 They have high exercise requirements needing to be worked out on a regular basis. 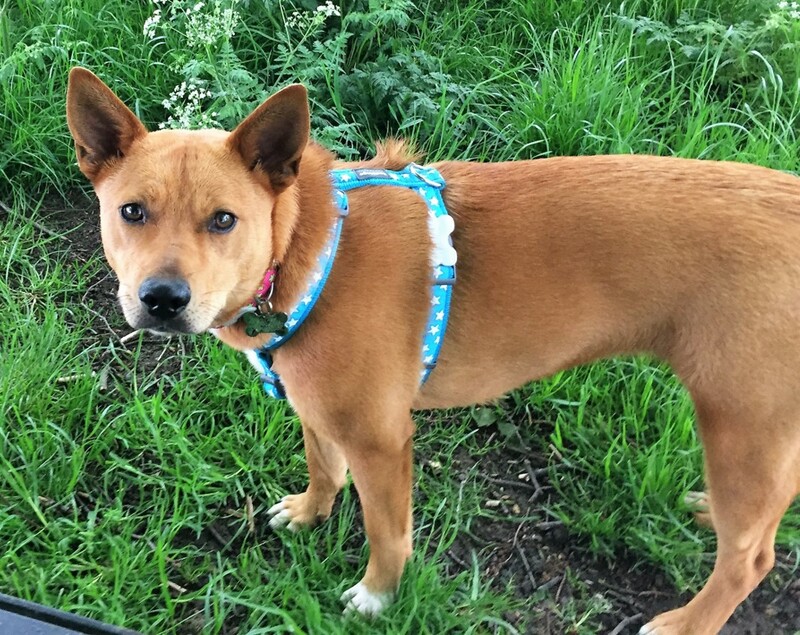 Whenever you take them out on a walk or outdoors ensure to leash them well as they have a strong sense of smell, running anxiously at the sight of anything which is moving. 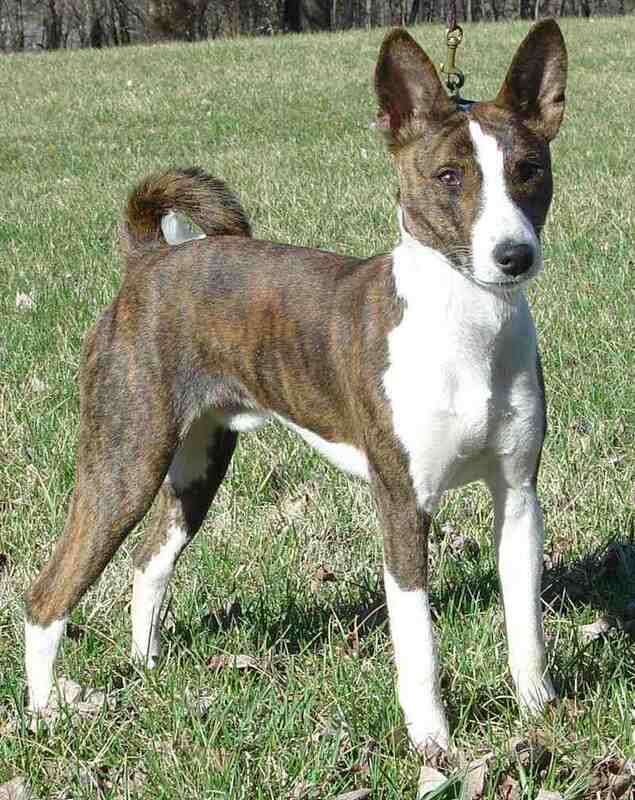 Make sure you confine them to a fenced yard that is barricaded with an electric wire during playtime as these sighthounds are great escape artists, always on the lookout for opportunities to run away. 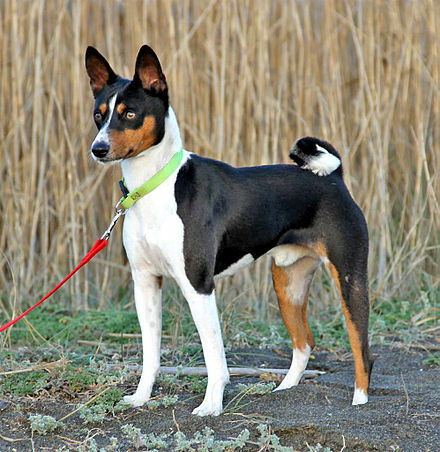 Since the Basenjis have a short coat, they are extremely easy to be groomed. 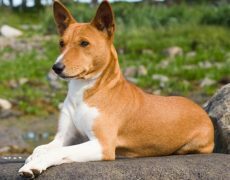 Brush them once a week using a soft bristle brush alongside a hound glove or a rubber grooming mitt for removing dead hair and distributing the oils well to ensure a shiny, sparkling coat. Bathe them only when they get dirty and trim their nails on a routine basis. Brushing their teeth and cleaning their eyes and ears are also the other grooming needs that you must adhere to. 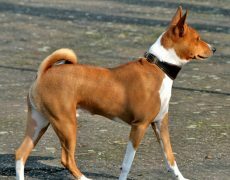 Though they have a moderately fair lifespan some of the common problems they may face include progressive retinal atrophy which could lead to blindness, Fanconi syndrome (a problem of the kidneys), hypothyroidism, hemolytic anemia, IPSID(an inflammatory disease of the bowels), and hip dysplasia. 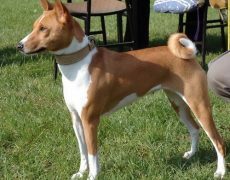 They are better suited for experienced owners than the first-timer since they are stubborn and independent. 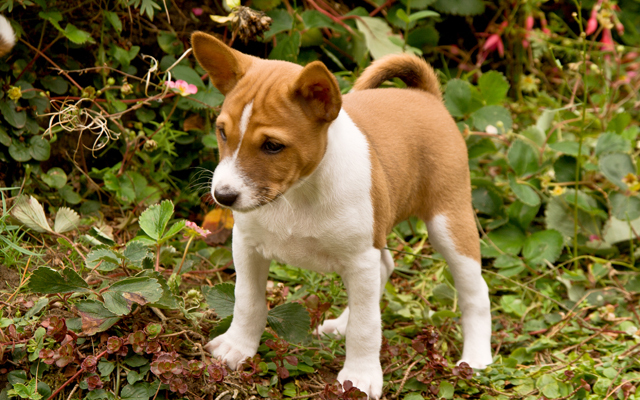 Socialization: It is extremely essential to train your Basenji on socialization since the time they are puppies. Allow them to interact with different types of people and experience varying kinds of situations, the good and the bad so that they may not express their discontent the moment they see any stranger at the door and gradually understand which is a threat and which is not. While training them to be friendly with kids, you should take it patiently. 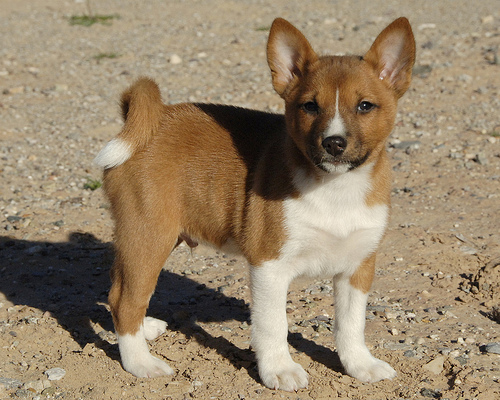 First, teach the little ones to toss treats at the African Bush Dog from a distance though. 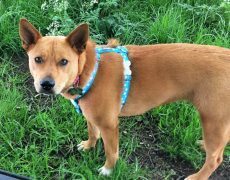 You can encourage closeness the moment you see the dog has developed a comfortable rapport with the kids though with supervision. 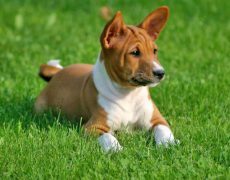 Obedience: Keeping their stubborn and strong-willed nature in mind, imparting them obedience training since their puppy days is of utmost importance. Teach them the commands “stop” and “no” and utter it the moment they do anything unpleasant. Once they refrain from doing destructive activities, reward them with praises or a treat. In this way, they would be able to relate these commands to anything undesirable and even understand that stopping it would fetch them awards and accolades. 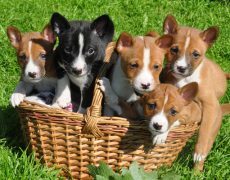 Since they have an urge to escape it is essential to keep them happy, busy and contented so that they get attached to your home and do not wish to go elsewhere. 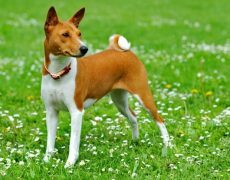 You need to give these active, energetic dogs a good quality dry dog food to help them remain fit. To balance the proportion of protein, vitamins as well as other nutrients you can include carrots, broccoli, salmon, pumpkin, cooked chicken and eggs to their diet though in measured amounts. Keep them away from foods like avocado, coffee, chocolates, onion, macadamia nuts, grapes, raisin, salt and alcohol.